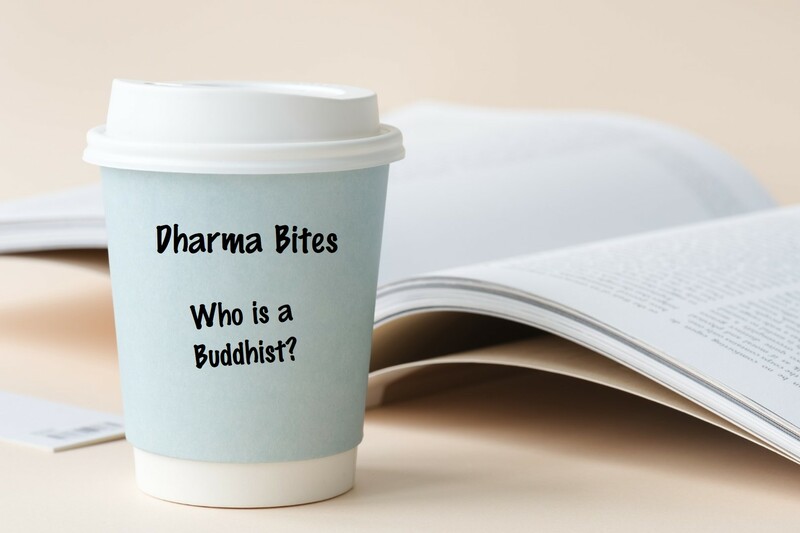 Home » (Monthly) Dharma Bites – Who Is a Buddhist? The facilitators will have a more flexible and engaging choice of formats to base their themes – either a you-tube episode, an audio selection or a physical object; an article or a short passage…etc. Participants will be invited to share their thoughts and experiences through a facilitated discussion. This is aimed at allowing the group to look at the Dharma and how it can be applied to their daily practice. We hope this new format opens up new ideas and sharing of insights into the Dharma with each person taking away little bites of the Dharma. At times the facilitator may continue to the next meeting to give a greater in-depth discussion. Many people are interested in Buddhism but what makes you a Buddhist? This is a religion that does not baptise nor require doctrinal faith. The Buddha shared his teachings for people from all backgrounds and beliefs to use their own life experiences for more meaningful lives. A Buddhist is not one who has to withdraw from society to meditate. Flexibility provided the opportunity for Buddhism to evolve to meet the needs of modern life. The core dharma focus on embracing good, renouncing evil and purification of the mind is a beacon for those who seek balance in tumultuous times. Driven increasingly by worldly monks and lay teachers, the popularity of mindfulness meditation with widening political and social engagement, well informed people have found better understanding of human existence. To help us explore the ways the Buddha’s teachings can guide us to live more ethically and meaningfully, we will look at sayings in the Dhammapada for constant reflections. KK Lim is a Buddhist practitioner focused on learning more and working on Engaged Buddhism. He is involved in various initiatives to alleviate the suffering in disadvantaged communities both in Australia and overseas. Prior to dedicating his work to social work-related activities, he worked in several countries as a senior banker before he decided to leave the profession. He started business in corporate training to assist companies improve internal staff communication and appropriate leadership coaching skills. KK is current President of the Association of Engaged Buddhists. (Monthly) Dharma Bites - Who Is a Buddhist?